A dynamic, self starter with over 25 years international experience across a wide spectrum of the tourism industry. Rachel has worked with hotels, large and small tour operators, tourism planners, sustainable tourism management and marketing projects, international development banks, landscape and park planning firms, governments, NGO’s, marketing organizations and hospitality and tourism attractions. 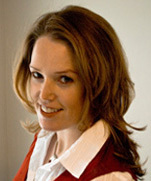 Rachel is currently the Director of Sustaining Tourism – a boutique consulting firm. She is also a Professor at Ryerson University in Canada where she joined the Ted Rogers School of Tourism & Hospitality Management in 2006. From 2014-2018, she was the Director for Ryerson’s Institute for Hospitality and Tourism Research. Having been trained to look at many different aspects of tourism, Rachel knows that sustainability means long term planning and management and that experience and understanding of diverse cultures and environments is a fundamental part of tourism. She also has seem many of the issues that lead to overtourism and understands how to avoid them. She has furthered her understanding of the industry through both her personal and work travels. She has now has traveled extensively to six continents and over 80 countries. Sustainable/responsible/eco consulting – strategy, development, environmental management, research, business planning, marketing and communications. She has undertaken a range of tourism development and marketing consulting assignments both alone and in cooperation with other companies. Communication, marketing and public relations implementation including speaking engagements. Her experience includes non-profit organizations, tour companies, ecolodges and entrepreneurs. Rachel holds a PhD from the University of Surrey in the UK and a Master of Tourism Management from Griffith University in Australia. She also holds an undergraduate degree in sociology and political studies as well as a business management diploma from Canadian institutes. She has taught at both colleges and universities delivering classes on sustainable tourism, research, ecotourism/adventure recreation, tourism policy, marketing and strategic business development. In addition to giving worldwide lectures on sustainable tourism, overtourism and urban sustainability, she has guest lectured at events and conferences worldwide and contributes to the tourism community through a number of boards and memberships. Rachel has written, co-authored and edited articles about sustainable tourism, tourist motivations, CSR, islands, tourism development and planning and urban sustainability. She has published a book about overtourism, sustianable tourism policy and planning and island sustainable tourism. For a list of a few of her publications, click here.